Healthcare design is our focus and our passion. We are a full-service architectural design firm with over 35 years of experience in healthcare architecture. as a regional leader in the field of healthcare design. Pulse Design Group offers healthcare architecture, interior design, medical equipment planning, and virtual reality design services. Because healthcare is our sole focus – and our passion – we have the capacity to work on the most challenging, complex projects in the healthcare industry. We are able to develop design solutions that maximize efficiency while meeting market demands and focusing on patient centered care. Our collective experience allows us to understand the universal needs of healthcare facilities, while also appreciating and accommodating each healthcare system's distinctive needs. 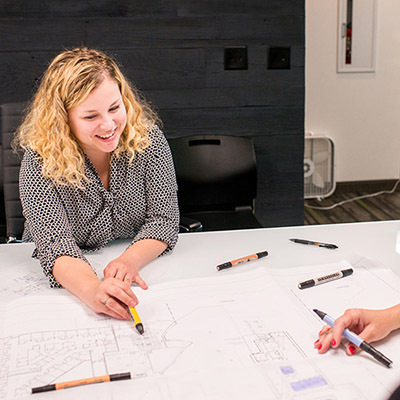 From in-depth participatory planning to extensive on-site work with project partners, our time-tested process allows us to understand each client's philosophy and the environment. We pride ourselves on the strong relationships that we build with our clients. As we approach each project, we work alongside our clients to create the unique architectural environments that they envision. 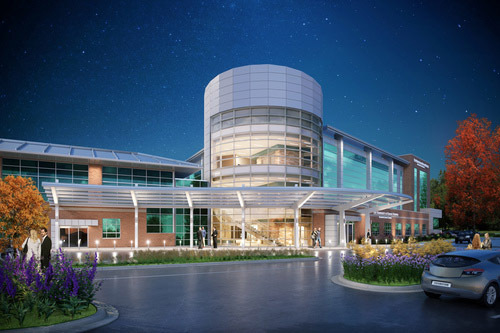 With over 35 years of experience designing healthcare architecture, we are confident in our process and with the projects that we have created. Designing healthcare environments involves more foresight and ingenuity than merely coming to the table with the latest trends. It requires a thorough and thoughtful understanding of the needs of the organization and the patients it serves. A building isn't simply a structure. We strive to create nurturing places that support the healing process and where the lives of many individuals will be touched well into the future. 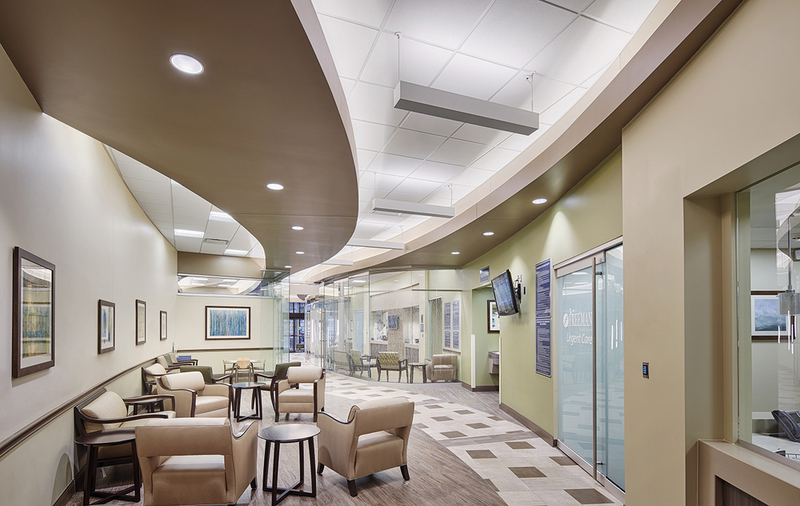 We view the function of interior design as a key component in the healthcare design process. Our goal is to design each space in such a way that it has a positive effect on the healing process and the patient's outcome. We strive to identify and implement supportive settings that gracefully couple sophisticated technology with an aesthetically pleasing environment. 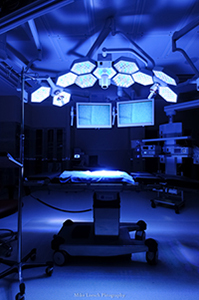 Planning and coordination of medical equipment can be one of the biggest challenges of healthcare design. It requires detailed and accurate coordination of information between equipment vendors, hospital staff, architects, engineers and contractors. Our goal is to ensure that the equipment needs of each project are satisfied on-time and on-budget, every time. After years of intensive research into the field of 3D virtual reality simulation systems, we are excited to continue pursuing immersive technology to help communicate design decisions to our clients. 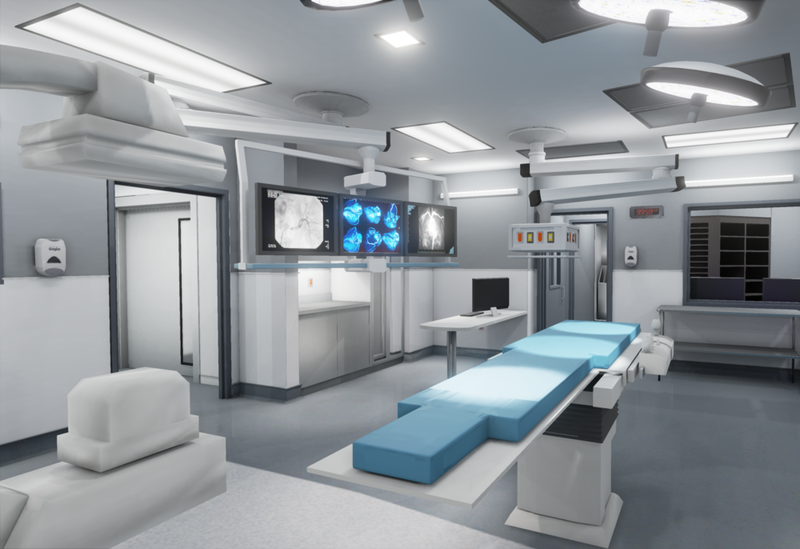 Utilizing the latest VR technology available, we have leveraged our extensive knowledge of healthcare design and medical equipment planning to create highly realistic and detailed 3D rendered virtual healthcare environments.